Are There Any Side Effects of Using Alma Oil? Promoting hair health is what Amla oil does best, be it hair loss treatment, premature graying hair, or a simple hair care regimen. Amla oil is applied by rubbing it directly to the scalp. By the end of this article, you will learn more about the wonders of natural Amla oil and how to use it for better result. Amla oil was long ago used in a traditional system of medicine in the Indian subcontinent (Ayurvedic medicine) originating from a native tree in India called Indian gooseberry (Emblicao officinalis). All parts of the tree are utilized in treating numerous hair conditions including the bark. It’s made by drying an Amla fruit and soaking it in oils such as mineral, sesame or coconut oil. After 3-5 days of soaking, excess fruits are to be removed, making the oil purified. This oil has since started to be famous and is now used by women and men, not only in India, but also in some other parts of the world. 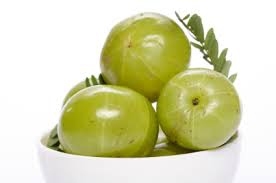 You can purchase Amla oil online or in stores that sell Indian products and other natural-food stores. Why is this oil great for the hair? Mainly because it’s all natural, containing essential fatty acids that helps strengthen the hair follicles to condition and improve the hair while the oil uses its ability to bind Iron and Cooper. If you’re suffering from dry and itchy scalp, Amla oil can penetrate and treat the scalp. Other than the fatty acids, it also contains Amla fruit extracts which are rich in vitamin C, Polyphenols, Flavonoids, protein, carbohydrates, minerals, antioxidants and water. Despite the long history and the growing list of positive reviews received about Amla oil, it still doesn’t give any evidence of being effective in scientific terms. There is only a little evidence given on why this oil can help treat hair loss and other hair and scalp-related problems. You can apply it even when you have not yet taken a bath. Part your hair concentrating on the scalp where you want the oil to be applied. Pour enough of the Amla oil on your head and massage it thoroughly into your scalp spreading it to as many areas as possible. By doing this, you will feel a cooling effect. Let the oil get into your scalp. When using branded Amla oils, see instructions on how to keep the oil working in your scalp by wrapping your head with a warm towel for an hour, leaving the oil overnight, or washing the oil after an hour or two. After following your own style of method mentioned in number 3, rinse your hair thoroughly with water while massaging. After rinsing, watch your hair shine naturally. When applying the oil after using a shampoo, you won’t need to use a conditioner anymore. Instead, use the Amla oil and let it sit in your scalp as you cover it with a shower cap or massage it for 15-20 minutes in the shower. Tips: When you apply the oil, make sure you give more time to let it sit in your scalp, especially if you’re suffering from dandruff and itchy scalp. If so, you’re recommended to use the oil daily as your conditioner. When using the overnight method, you can use a shower cap or just cover your pillow with a towel to avoid staining. The oil is preferably for home and night use because it has a musky smell that you wouldn’t want to use outdoors. One good thing about these natural products is that, you can make it at home. If you cannot find an Amla oil product, perhaps you can consider buying Amla powder or the Amla fruit in a nearby Indian grocery store. What you'll need: Amla fruit, Fenugreek powder and Fenugreek oil. Cut it into little cubes and let it dry for an hour or so. Mix it with Fenugreek powder and oil until you make a paste. Use a pan to heat up the ingredients. When it turns brown, turn off the heat immediately. Let it cool and transfer it in a container. In two weeks, the oil is ready to be used.